Generally speaking most people don’t associate custom with cost effective, but they don’t have to be mutually exclusive. Most of the time, if anything is custom it costs more than a standard counterpart. However, in many cases, knowing what to ask your cable manufacturer will help you keep costs in line. It’s no different with custom design cables or custom cable assemblies. What are custom design cables and cable assemblies? Let’s start with the basics and define what a custom design cable or cable assembly is by defining what it isn’t. If you can find the cable or cable assembly you need in stock, it’s not custom. Companies typically don’t stock custom items because they aren’t purchased often enough to justify the cost of carrying the inventory. So, if you’ve searched and can’t find the cable or cable assembly you need off-the-shelf, odds are you need a custom product. In the immortal words of Douglas Adams, “Don’t panic!” Just because you need something custom doesn’t mean you need to be robbed. Most times the only difference between a standard product and custom product are a few minor, but important, details. Making those changes doesn’t always have to be expensive. When you can’t find what you need, start looking for a custom product by describing it using standard terms. 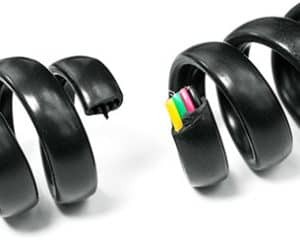 For example, we make USB cables for the retail security industry that prevent thieves from cutting the cable and running off with a new cell phone. These cables aren’t that different from a standard product except for one very important feature: If someone tries to cut them, they can’t—at least not very easily. While this feature increases the price, it is NOT by factors of 2, 3, or 4. Since we extrude cable, it’s easy for us to include cut resistance in the design phase. This would only add cost for the added material, and not a penny more because we feel like it. If the cable you need is a bit more complex, you can describe it as a combination of standards to get your needs across. We recently created a coil cord for an off-the-road vehicle company. The cable was custom, but it was clearly described as a combination of RS-232, USB, and 12Vdc power. All three are very standard but generally not found in one cable, not to mention in the form of a coil cord. However, when defined by the standard items, it was quite easy to understand what the client needed. Don’t worry if you don’t know the “standards,” like RS232, USB, OBDII, SAE1850, ISO914 L, CAN Bus, UL8750, and so on. You don’t need to be a standards expert; a good custom cable manufacturer will know that stuff and can guide you. Just describe the items you want to connect, or better yet, describe the kinds of cables you want to combine. Then you can ask what standards the manufacturer will design and build the cable to, so you can decide if you really need that standard. Often the only difference between a cable that meets a “standard” and one just like it that doesn’t is nothing but a testing house approving the cable. If you don’t need this seal of approval, don’t pay for it. If you do need it, then it’s a good idea to spend the extra money. Either way, make sure you know so you can make an informed decision. Last, don’t be fooled into thinking a custom design cable automatically means producing tens of thousands of feet at a time. A good custom cable company should be able to extrude runs of custom cable of no more than a few thousand feet if necessary. Cable extrusion is a fast process, often running at speeds of 3-5 feet per second. It’s not easy to do small runs, but it is not impossible. Many companies just don’t want to do small runs because they aren’t set up for them. Find a company that is and your costs will be much lower. Custom cable design doesn’t automatically mean you have to break the bank to pay for the solution you need. Get in touch with the team at Meridian Cable when you are ready to see how we can help you stay in budget on your next custom cable project. The shape of a custom coil cord is one of the most important elements when designing this type of cable. Custom coil cord is known for its flexibility, making it the perfect choice for applications that require a cable that can stretch and retract without putting additional stress on the wire. It has the ability to extend beyond the natural length at rest, which can be a real space-saving feature. These cords are flexible beyond simple extending and retracting in that they can also be pulled, bent, and twisted without experiencing the metal fatigue of a straight cable. Coiled cable can be used to carry electrical currents as well as data and signal for telecommunications applications. This versatility makes coil cords ideal for use in environments that are often too rough for non-coiled cable. Coil cords are used in everything from equipment on industrial and construction sites to portable electronics, like sound equipment. With so many applications at so many different sizes, the shape of your custom coil cord is key to its successful performance. If you’ve ever seen a telephone cord, you’ll recognize the shape of a coiled cable – curled in the middle with a section of straight cable at each end. While the specifications of the straight sections are important to the overall function of the cable, it is the coiled section that provides the cord with its unique benefits. The retracted length of the cord is how long it is at rest. This is the most common way to specify how long the cord should be. However, it is also necessary to communicate the full length the cord must extend to, so the engineers at your custom cable manufacturer are able to get a full understanding of the requirements of your cable. The coil’s diameter is a key measurement when determining how far a custom coil cable should extend. In general, a coil with a larger outer diameter with stretch farther than a coil with a smaller outer diameter. When discussing your cable’s specifications with your cable manufacturer, retracted length, extended length, and outer coil diameter will provide a good starting place for the designer regarding the cable’s physical shape. An expert cable manufacturer like Meridian Cable, learns everything they can about how your coil cable needs to function. This allows them to make the best recommendations on the materials and physical shape to ensure the finished cable meets the needs of your product or equipment. Rest assured that no matter what your application, a custom coil cord solution can be designed and produced to perfectly match your specifications. When developing a new product, the last thing you should be worrying about is whether there’s an existing cable that meets all the requirements for performance, durability, and price. The reality is that there may not be an existing solution that will meet all your requirements at a reasonable price point. And while your engineers may know what your cable needs to do, they most likely lack the experience with different conductors, jacketing materials, fillers, and insulations required to design a cable from scratch. 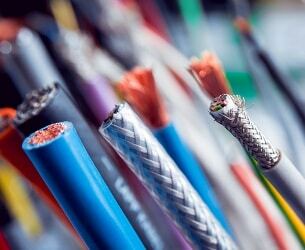 Custom wire and cable manufacturers can provide a level of expertise in the area of electrical engineering that can save time and cost while developing the right cable for your application. Designing a custom cable can be a challenging process, but a reputable cable and wire manufacturer acts as a partner every step of the way. They will walk you through the process to ensure that they are using the appropriate materials for your precise requirements. In many cases, they can even produce a prototype that allows you to test the cable on your product. The best way to ensure your custom cable meets all of your product’s requirements is to share as much information with your wire and cable manufacturer as possible. 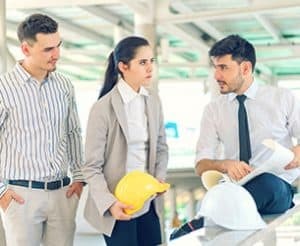 The first step in this process is to meet with their engineering team to share all of the specifications, as well as any applicable drawings. Don’t forget to make sure your drawings are created in a common format that can be easily accessed by the manufacturer. This will save both time and frustration for both parties. As the next step, the manufacturer’s electrical engineering team will review your product’s specifications to ensure they have the capabilities to produce the type of cable you need on your requested timeline. It may be that they do not have the equipment or facilities to produce your cable. At this point, their team should be able to give you an idea of why they are not able to meet your specifications, whether the job requirements are realistic, and possibly make recommendations on how to feasibly produce the cable. Wire and cable manufacturers are the experts on customized cabling solutions, but you are the expert on your product. They will continue to hold conversations with you throughout the design process regarding voltage ratings, electrical tolerance, environmental parameters, and flexibility to ensure they choose a conductor material that performs as expected. Does the cable need to withstand high temperatures? Does it require extra protection, like metal armoring? Are there concerns about signal interference? Does it need to meet spec standards like, UL, CSA, CE, or Mil-Spec? Open communication is the key to ensuring positive relationships with wire and cable manufacturers. Designing a custom cable can be a complicated process, but if you provide their team with as much information as possible, it doesn’t have to be frustrating. And don’t forget to speak up if you need help. Experienced engineers, like the team at Meridian Cable, are always happy to answer your questions. Collaborating with a custom cable manufacturer to produce durable wiring that meets your product’s specifications. 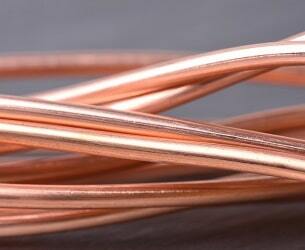 The majority of wiring is made of copper, which is susceptible to corrosion when used in harsh or damp conditions. Cables that will be buried, for example, must be coated in a thick jacketing that can withstand conditions underground. Aside from this jacketing, this type of wire must also be sealed so that the soil and any materials in it cannot damage the inner conductor. Water can also corrode copper over time and most of us have seen the green and white residue that often forms on copper pipes. The wiring’s proximity to water should be considered and addressed by your wiring manufacturer. Specialized techniques can be applied in these instances, particularly if the wiring will come into contact with salt water. When possible, wiring that encounters such conditions should be inspected regularly for signs of damage to the jacketing and residue building up around connectors. Damaged wiring, or wiring that shows signs of corrosion, must be repaired to ensure that it continues to function optimally. The proper jacketing can be the difference between a long-lasting wiring system and a system that falters. With the proper jacketing, a wiring system should be able to withstand and protect the wiring’s vital conductors from damage resulting from motion, environmental factors including animals and insects, and water if necessary. There are so many additional factors that can alter a wiring system’s functionality that it is important to work with an experienced wire manufacturer who understands your industry and product. Armed with an understanding of your product and its functionality, your cabling manufacturer should be able to choose an appropriate material that will reduce the wear and tear on your product, minimizing the amount of maintenance that it will require. Contrary to what many assume, there are many types of wire jacketing available to protect your product’s wiring system. This jacketing can be made so that it is resistant to cuts and UV rays, crafted so that it is resistant to high temperatures, and more. The innovation in this industry means that you are sure to find a product that is ideal for your custom wiring needs. Because of the crucial role that wiring plays in modern machinery and communication, it is important that the wiring you choose to utilize is reliable. To ensure that you are receiving high quality wiring that will last, talk to your manufacturer about the options that are available and the level of specialization that your product or industry demands. Manufacturing custom design cable on a small-scale. Working with a cable manufacturer to produce custom design cables for prototypes. While wiring and cabling often seems straightforward, the process usually requires more tooling than expected. Manufacturer assemblies go through various rounds of testing and quality assurance to ensure that the practices and processes utilized will yield a quality product. Cable manufacturing companies utilize a variety of testing materials beyond multimeters to test their products including clamp testing, life cycle testing, capacitor testing, and more. Aside from this, specialized training and custom tooling are required to create highly customized wiring systems. One example of this can be seen when working with a wire’s connectors. Some of these connectors need to be soldered to the wire, while others require the use of crimp connectors. Crimping tools can be used for this, but the less expensive hand-held ones are known to be fallible – particularly when the user is inexperienced. Incorrectly crimping a connector can lead to loose connections that create air pockets, deformed connectors that are more likely to break or come apart, and a plethora of other issues. Assembly cabling typically requires a level of specialization that is difficult to find when choosing from off-the-shelf options. The jacketing and filler materials used in the custom wire harnesses and cable assemblies created by trained manufacturers can be made to exacting specifications. These specifications can include resistance to certain types of chemicals and oils, adding protection against UV rays, ensuring that the product is heat rated, and a variety of other useful features. Calculating the wire gauge that your product requires to function optimally is a difficult process that requires an understanding of industry best practices and standards. These vary based on the type of product that you will be producing, the product’s intended industry, the area that the product will be sold in and more. By working with a manufacturer and their team of engineers, you can ensure that your product meets required safety standards early on in the manufacturing process so that major changes will not have to be made down the line. Producing a wiring diagram and planning out the way that the wires and cables will run in your product is an important aspect of the design process. This maps out how long the wires or cables will need to be, where the wires and cables will run to avoid interference, and is an important tool for communicating with other manufacturers about the product’s design and layout. Unfortunately though, many often skip this step when crafting their own wiring or cabling systems. This is detrimental as it becomes increasingly difficult to communicate the layout of the wiring, label the products in use, and ensure that the wires do not interfere with one another. An experienced manufacturer will be able to produce an accurate wiring diagram for your product to eliminate this confusion. At Meridian Cable, our team specializes in creating small batches of customized products. With our experience creating products on a small-scale, we are able to work with our customers to design wiring and cabling that compliments their products and helps them to run as efficiently as possible. If you need a custom cable, cable assembly, or wire harness – don’t hesitate to contact the Meridian Team. 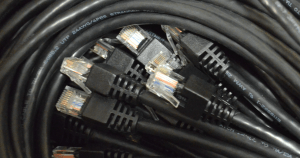 Understanding the colors and markings on your custom cabling. The basics of custom design cables’ markings and symbols, and what the Markings on Custom Cables mean for your product. Custom design cables may have a series of markings on them that are intended to denote their function and proper usage. As a cable customer, you want to ensure that your cabling complies with industry standards and norms to avoid confusion while making installation and maintenance as simple as possible for the end user. Here are some of the common Markings on Custom Cables along with indicators that often appear on quality customized cable. When designing cable, the manufacturer will often print lettering on the product’s jacketing during production. The purpose of this lettering is to let users know about the product’s specifications before installing it. Below are some of the letters that are commonly used in custom cable design and what they mean. 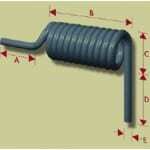 H – This indicates that the wire is safe to use in temperatures that will not exceed 75°C. HH– This combination means that the cables or wiring were designed to withstand temperatures that will not exceed 90°C. T – The letter “T” indicates that the custom cables have thermoplastic jacketing. This type of jacketing is made of a durable material that has the ability to insulate and protect your wiring – even in rugged or industrial uses. X– The “X” typically indicates that the wire’s jacketing is made of a thermoset material. Thermosets have a higher heat tolerance than thermoplastics, which typically makes them more suitable for higher temperature applications. W – “W” typically indicates that the product is safe for use in conditions that may be damp or involve contact with water. N – This wire has a nylon coating, the benefit of nylon is that it can protect your product from abrasions and from several corrosive materials such as oil and gas. Many of these combinations will depend on the geographic location of the final product and the standards there. To avoid confusion, it is important to ask your manufacturer to research this before making a final decision. It is also important to note that the different color combinations used in wiring projects vary based on a number of additional factors including the type of project, the number of conductors associated with it, and the aesthetic of the final project. 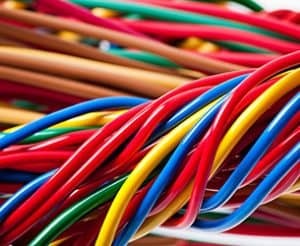 Because of these factors, you will likely need to rely on your wire manufacturer and designer to determine the most appropriate color combinations for your product’s cable or wire. 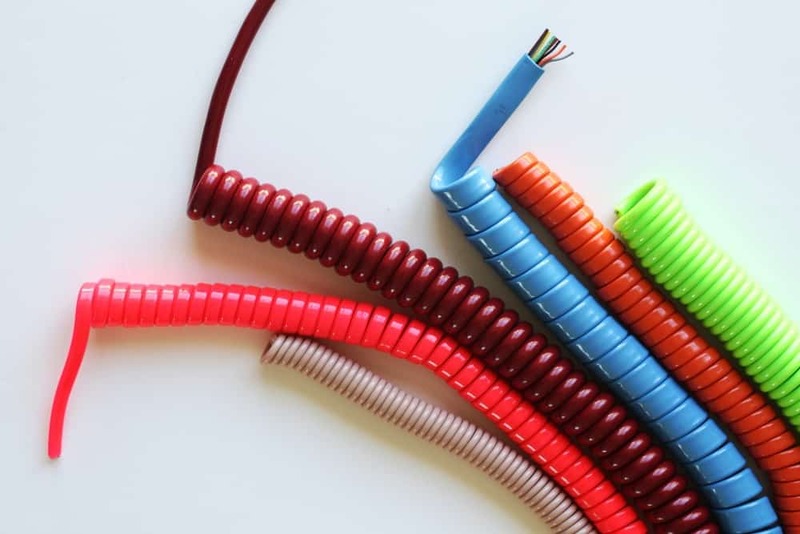 At Meridian, we have the capability to design custom cable in a variety of colors and color combinations to match the aesthetic of your product, speed up installation, and promote safe maintenance. We also have the ability to manufacture these products, producing prototypes along the way to ensure your product’s efficiency and functionality. Choosing a custom cable can be difficult, but understanding the design and manufacturing process can ease that burden, giving your team peace of mind knowing that they’ve produced a quality product with a Quality Coil Cord Design. Because a coiled cord’s quality can’t be determined visually, it can be tremendously difficult to determine which designers are capable of producing the highest quality product. An experienced cable designer will be able to create a cord centered around your product’s specific needs and industry specifications. They will be able to walk you through the design process as their team of engineers gains an understanding of the product’s specific functionality and final application. Urethane: This coating tends to be a bit more expensive than other options, but it is designed to last and withstand harsh conditions. If your product will be exposed to weathering, this jacketing option may be ideal for you. Cross-linked Polyolefin: This is a highly flexible and cost-efficient option for coil cables, making it ideal for large scale projects. Low Smoke or Halogen Free options: If your wiring will be exposed to high temperatures, you’ll likely need to utilize this type of jacketing as it does not produce harmful chemicals when heated. PVC – For low-cost applications there are formulations of PVC that will work, however, care must be taken to avoid coil cords that stretch out. Coil Cord End Direction: This is important because mechanically the straight section should be oriented so that undue strain is not created in the cable. 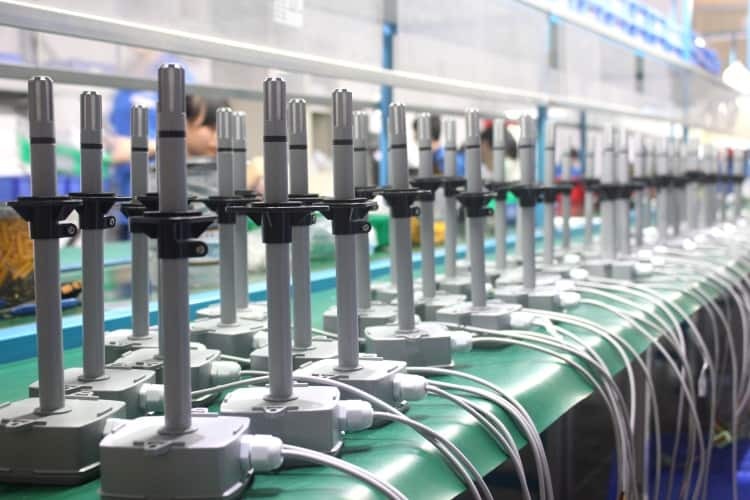 For the wiring to work as effectively as possible, the manufacturer must determine which exit angle will be most effective based on the product and its needs. Stranded Wiring or Tinsel: Stranded wire is more flexible than a solid wire and has a higher resistance to metal fatigue. Tinsel wiring, on the other hand, is ideal for creating flexible wires that don’t require a high current carrying capacity. Outer diameter size: The larger the diameter of your cable, the more likely it is that your cable can carry high voltages and a wider array of signals. If your coil cord must fit within another product, it is important that you and the design team understand the specific size restrictions and create prototypes to ensure that everything works as planned. With designed cords, it’s important that the manufacturer listens to your concerns and takes the time to learn about your wire’s specific requirements and needs. At Meridian, our customers are our top priority. We strive to meet their needs and work with them throughout the design and production process to create an efficient product. When creating wiring for logistics purposes, it’s paramount that the cable’s wiring is durable and made to last rugged conditions. Meridian Cable was able to produce this type of cabling for one of their clients, ensuring that it was capable of withstanding rough conditions. Meridian Cable was recently contacted by a leading logistics company looking for Quality Cable Assemblies Manufacturers to create customized cable assemblies capable of working with a variety of commercial vehicles. This need arose after the U.S. Department of Transportation’s Federal Motor Carrier Safety Administration announced that data logging devices would soon be required in many commercial vehicles. This was done in an effort to create safer highways by effectively tracking how long drivers were on the roadways. Requiring a cable manufacturer who builds products with quality and durability. The logistics company that contacted Meridian had no problems manufacturing the data loggers, but struggled to create custom cable assemblies that would work with the wide variety of vehicles that their customers utilized. The issue that they had creating this wiring was two-fold. The first problem was that these data loggers had to fit within a number of different vehicles that varied in year, make, and model. The second issue was that these assemblies needed to be strong enough to withstand rugged environments. The wires used had to be able to function optimally despite bumps and being jostled over the course of long hauls. At Meridian, we specialize in creating customized products for our clients and welcomed the challenge that came with designing these custom assemblies. We understood that the first step would be devising a way to ensure that the type of assembly used with these data loggers would be compatible with a wide array of trucks. Our solution to this was to design a series of customized overmolds. This type of custom cable enabled the data boxes to be linked to a variety of vehicles’ telemetric systems quickly and effectively. The second issue was rather easy for us to solve. We value quality and put all of the products that we manufacture through a series of tests including advanced life testing labs and various quality control measures. This guarantees that the products we manufacture are of an extremely high quality and are able to function reliably while on the road. This is always crucial, but having this level of security gave the manufacturer peace of mind knowing that their product had the right materials to continue to reliably transmit data, keeping their customers compliant. Finding Quality Cable Assemblies Manufacturers with this level of versatility required a great deal of design know-how and experience in cable manufacturing. Creating quality assembly cabling is one of the areas that we thrive in, we understand the challenges associated with producing this type of cabling. We strive to gain an understanding of our clients’ products to ensure that we have all of the details needed to produce assembly cabling that exceeds expectations and works seamlessly with their products. If you’re looking for a manufacturer with experience in the design, production, assembly, and service of wire harnesses – look no further than Meridian Cable to meet your custom cabling needs. Choosing a custom cable can be difficult, but understanding the design and manufacturing process can ease that burden, giving your team peace of mind knowing that they’ve produced a quality product. PVC – For low cost applications there are formulations of PVC that will work, however care must be taken to avoid coil cords that stretch out.